Two years ago, you couldn’t even imagine selling out this super cool vehicle that you loved driving around. But soon after driving it for six months or so, you realize that this doesn’t really fit your lifestyle. The rides are fancy no doubt, but issues such as difficulty parking at a public place or fitting in your entire family within, make it quite impractical. Not to mention, the high maintenance cost is totally messing your monthly budget. That is when you finally decide that it’s time to put it up for selling. 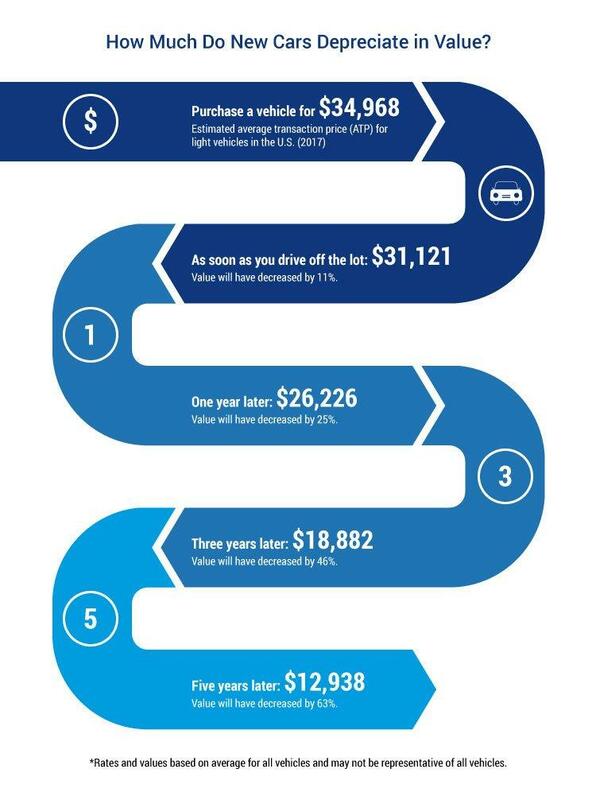 There is a lot to consider before you opt for selling out your car. Take note that vehicles depreciate fast. The moment that you drive those new wheels out of the lot, it depreciates by almost 11% of its value. Later you will end up losing around 30% in the first year. The decision to sell your two-year-old car is a difficult one to make. Begin with evaluating how much you owe the car and compare it with your income. If the amount is more than your earnings, it doesn’t make sense keeping it for long. You have a massive weight around your neck and it’s about time to get rid of it. There are many feasible options out there that are economical, practical and fit your lifestyle. Of course, it is hard letting go of the vehicle that you bought so delightfully, but sometimes swallowing the bitter pill is your only option. This stands to be the best way for scoring maximum returns. However, the procedure asks for a great deal of effort and time. You have to execute all the tasks since you are in charge. Research the online and off the line vehicle sales to gauge the market. Figure out the market value, advertise on viable forums and meet the potential buyers. Perhaps, you will need to permit strangers to visit your home and allow them a test drive. The task is time-consuming and pretty awkward sometimes. Advertise the car at all the access channels, preferably at places where they do it for free. These can be the online sites, flyers at your workplace or sending emails to all contacts. It is essential that your ad shows clear pictures with an accurate description such as the accident history, maintenance needs and the current state of the automobile. As soon as you fix the deal, make sure that you arrange a safe way of being paid. This process entails a lot of effort and requires utter caution at every stage. If you have enough time at hand and want the best possible price for your car, go for it! 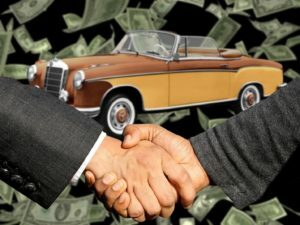 Selling to dealerships is the most common way of retailing cars. Once you visit a dealer, they give you the appraisal value of your vehicle. You can instantly walk away with money in your pocket if the offer sounds good enough. But obviously, there is a criterion for purchasing cars fixed by dealers. If by any chance your two-year-old vehicle has been in a severe accident and is no longer in working condition, the dealer will not buy it. In those cases, you have to turn towards a scrap yard. If you are thinking of replacing this vehicle with another one, trade-in can be a good option. It happens at the same dealership where you visit for selling your car. If you accept the offer made by your dealer, you can use that value as a down payment for your next vehicle. It reduces the hassle since the tedious task of handling paperwork becomes the duty of the dealer now. In this case, there is a compromise over vehicle valuation. The dealer offers you a price that is close to the wholesale value. Where in contrast, private selling offers a retail value. All you have to do is press sell my car, and the inspection team comes right away. Services like webuycarstoday allow you to sell your car virtually in no time. The first step is to enter your vehicle details with accuracy so that you receive a fair quote on it. The value they provide on the website is competitive and equal its trading value. Nonetheless, the final valuation is still subject to further inspection. If the team finds out a problem during its analysis, it will automatically reduce the price. These services travel to your place, inspect and provide quick appraisal and tow the vehicle on the same day. Some of these agencies also travel to your local bank along with you so that you can verify that their cheque gets approved. Each of these methods has its pros and cons. You can choose according to your time and price preferences. Plus, it is to note that since you are selling a car that’s only two years old, it might have a good demand in the market. Take measures to secure a solid offer — one that is reliable and gives a decent payback. Selling a car can turn out to be the hardest bargain of your entire life, so brace yourself. Remember, only the right research and negotiation skills contribute to a reasonable deal.